Today's So Shoe Me is the Kay Slide Sandals by Mossimo, $28, available at Target. Add a fiesta to your feet with these bold hued sandals by Mossimo. Exotic embellishments in eye-popping colors creates the perfect signature slide that can be paired with just about anything this summer. 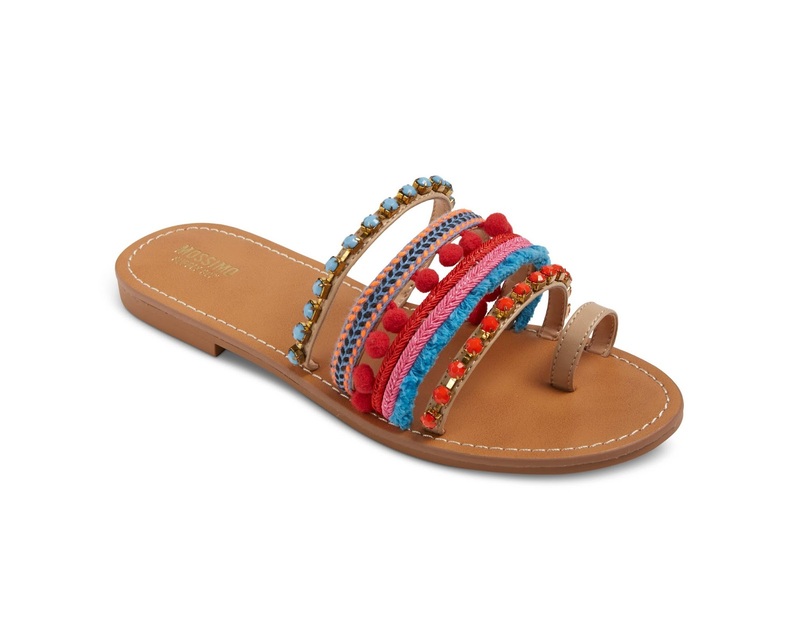 The simple and secure straps make these boho detailed sandals ready for everyday wear. Pair these slip-ons with a cute romper for a look that can go from a daytime ball game to a casual night out. So Shoe Me a pair of bohemian beaded and braided sandals that will add a pop of color to my everyday (and night) summer wardrobe.